Increased outdoor activity in the summer also increases our potential exposure to dangerous lightning. Today’s blog takes a look at how to stay safe at work or at play when thunderstorms roll through your area. Lightning strikes the United States about 25 million times a year. Although most lightning occurs in the summer, people can be struck at any time of year. Lightning kills an average of 49 people in the United States each year, and hundreds more are severely injured. Precautions should be taken to prevent worker exposure to lightning. 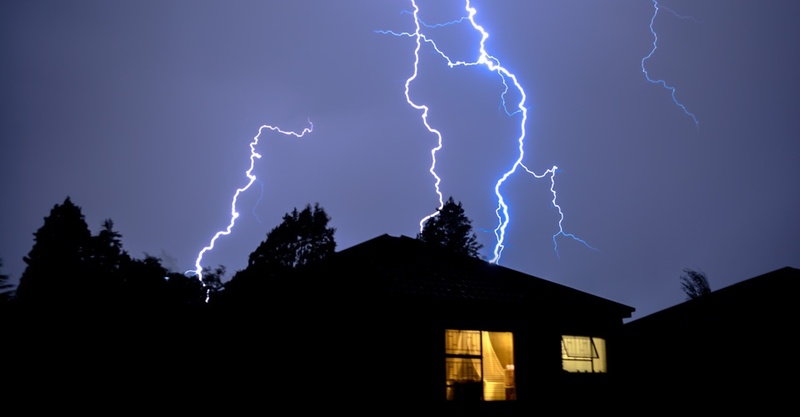 Employers should recognize lightning as an occupational hazard. Supervisors and workers at outdoor worksites should take lightning safety seriously. Many lightning victims are caught outside during a storm because they did not act promptly to get to a safe place, or they go back outside too soon after a storm has passed. If signs of approaching thunderstorms occur, workers should not begin any task they cannot quickly stop. Proper planning and safe practices can easily increase lightning safety when working outdoors. Seek Shelter in Buildings: Employers and supervisors should know and tell workers which buildings to go to after hearing thunder or seeing lightning. NOAA recommends seeking out fully enclosed buildings with electrical wiring and plumbing. Remain in the shelter for at least 30 minutes after hearing the last sound of thunder. Vehicles as Shelter: If safe building structures are not accessible, employers should guide workers to hard-topped metal vehicles with rolled up windows. Remain in the vehicle for at least 30 minutes after hearing the last sound of thunder. Phone Safety: After hearing thunder, do not use corded phones, except in an emergency. Cell phones and cordless phones may be used safely. Lightning Safety Training: Employers should adequately train all workers on lightning safety. Training should be provided for each outdoor worksite, so that supervisors and workers know in advance where a worksite’s safe shelters are and the time it takes to reach them. Employers should train supervisors and workers to provide lightning safety warnings in sufficient time for everyone to reach a worksite’s safe shelters and take other appropriate precautions. To download a copy of OSHA’s lightning safety fact sheet, click here.